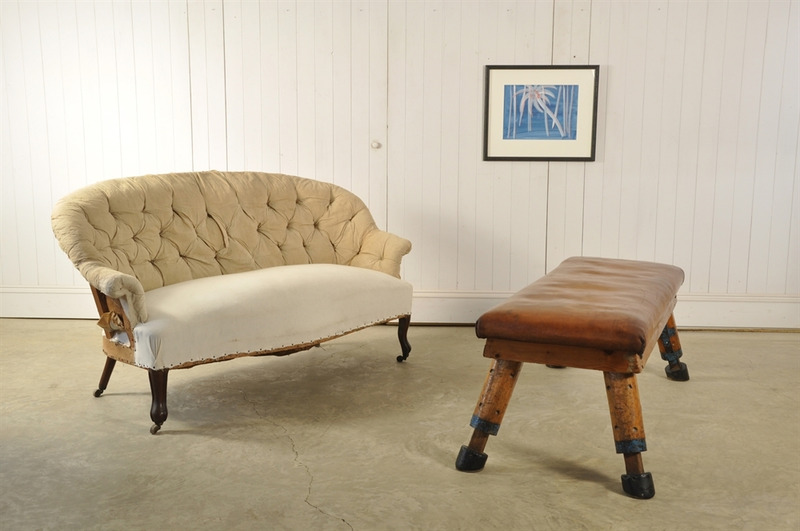 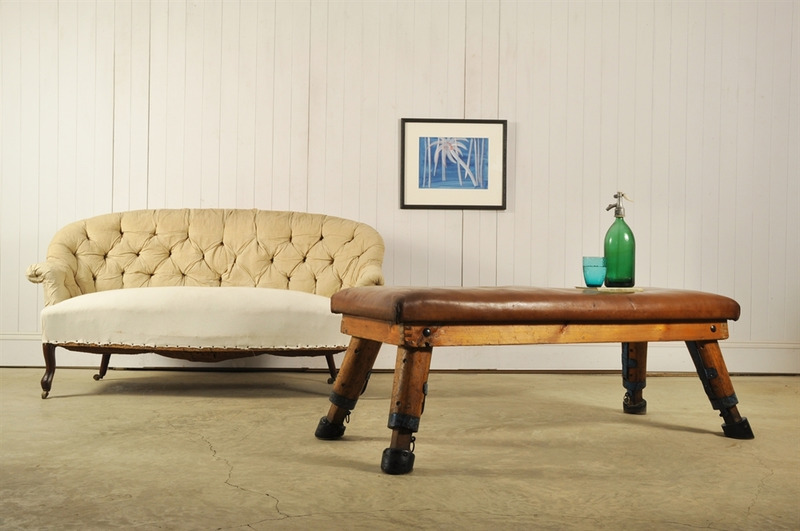 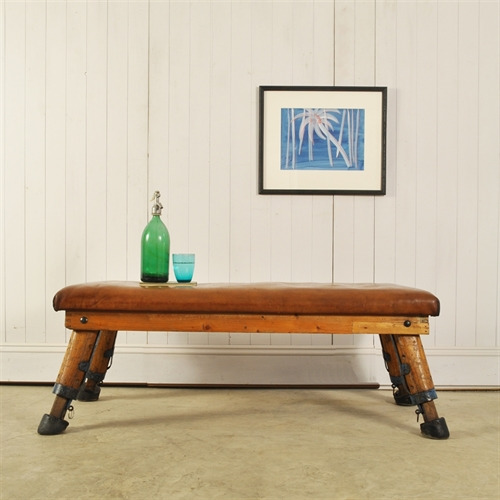 Circa 1940's this gym bench / coffee table was sourced in Hungary. Lovely vintage condition with a great patina to both the leather and the wooden frame. 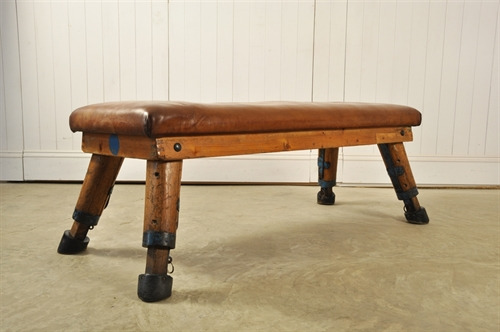 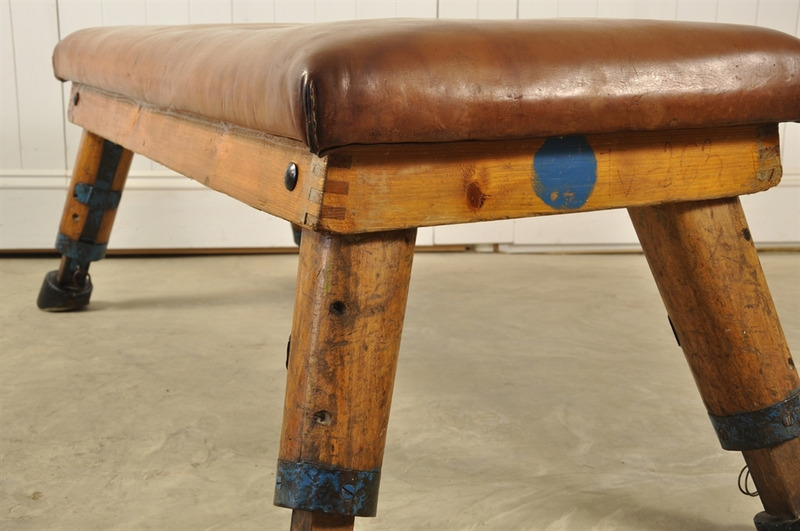 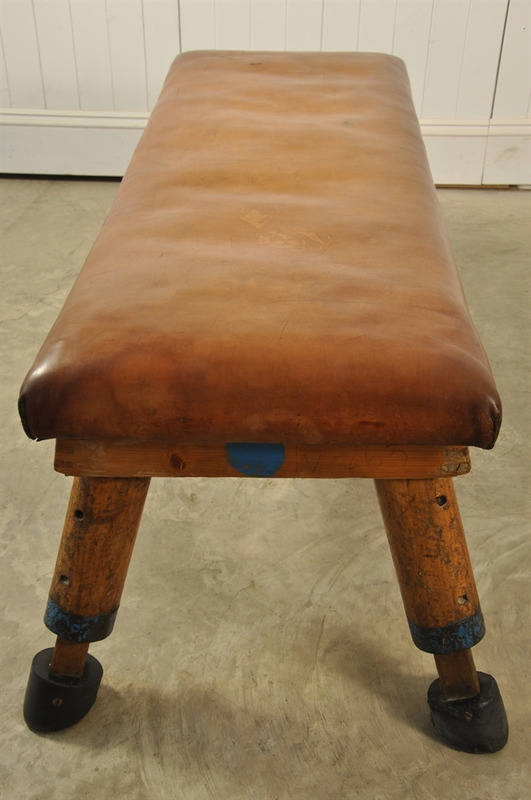 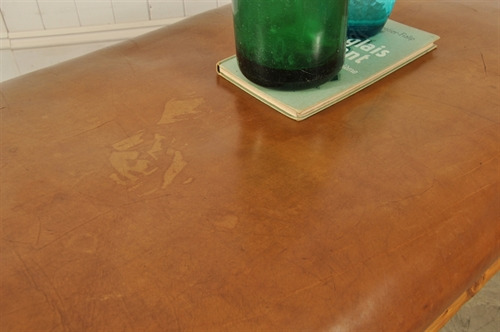 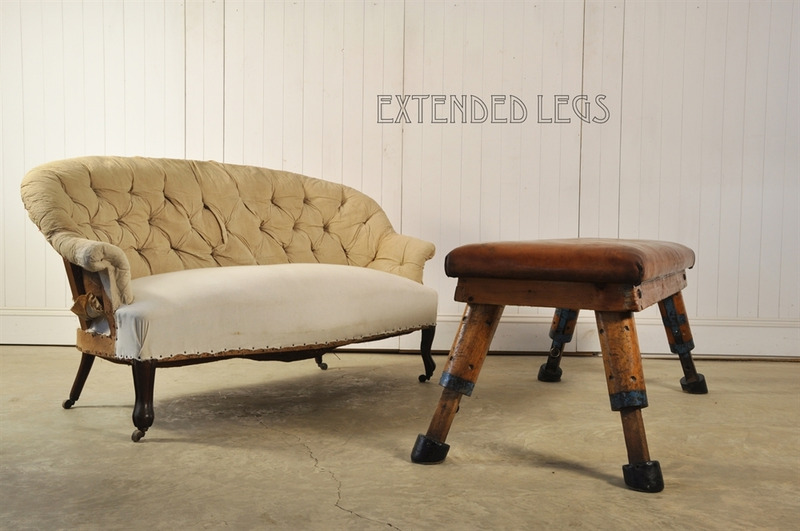 Structurally very sturdy and plenty of life to the leather - certainly not a footstool you need to be precious about. 50 - 55 cm h ( the legs can extend ) x 130 l x 49 d.